The DrillCover Hex is our base model, allowing for simple drilling, such as in fracture fixation procedures and CCL repairs (including lateral suture, TTA and TPLO). This system can be used with the standard 3-Jaw Chuck (for use with pins and round drill bits) as well as with an AO quick connect attachment (for use with half-moon-shaped drill bits). The SawCover System is ideal for TTA and FHO procedures, not only providing faster surgery times, but improved patient outcomes compared to use of an osteotome. The SawCover System completes the Arbutus power tool line for osteotomy, amputation, arthroplasty and other applications. 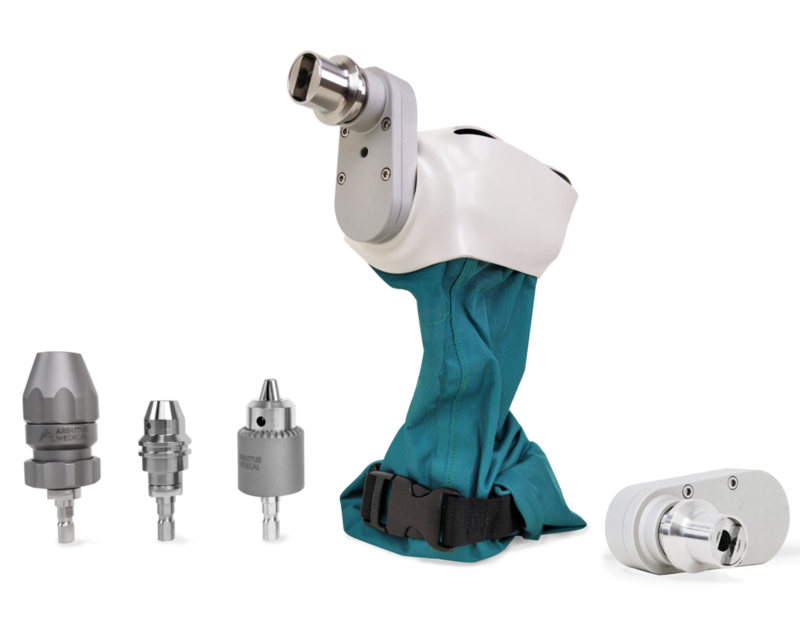 The DrillCover PRO is Arbutus Medical's latest innovation. This drill allows for more precise drilling, due to a new drill-chuck interface design. 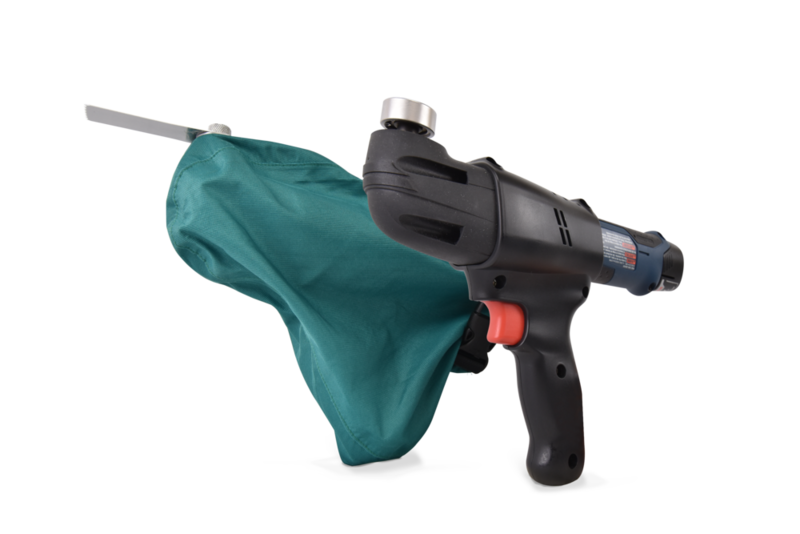 The DrillCover PRO also allows for cannulation as well as reaming, and can grip both regular drill bits and pins (using the 3-Jaw Chuck) as well as half-moon-shaped drill bits (using the AO quick connect). “I have used [similar products] in the past, and the Arbutus model is my hands-down favorite. Other drills have the chuck adapter simply passing through an un-sealed hole in the cover – not ideal from a sterility perspective. The Arbutus cover has a sealed adapter incorporated into the cover, greatly improving sterility. The cover itself is made of a material that allows very good tactile feel of the drill beneath, and the seal across the bottom is the most secure of any that I have used. Love Arbutus Medical's oscillating saw! About 1/3 the cost of other oscillating saws on the market and works great! The linen cover for the saw allows for sterile handling intra-op. and allows for easy post-op. clean-up. Great customer service and follow-up from the staff at Arbutus Medical. They really seemed to care about the quality of their product and making sure that it met the needs of the physicians who used it. Definitely worth the purchase!